Like virtually every big enterprise company, a few years ago, the German auto giant Daimler decided to invest in its own on-premises data centers. And while those aren’t going away anytime soon, the company today announced that it has successfully moved its on-premises big data platform to Microsoft’s Azure cloud. This new platform, which the company calls eXtollo, is Daimler’s first major service to run outside of its own data centers, though it’ll probably not be the last. 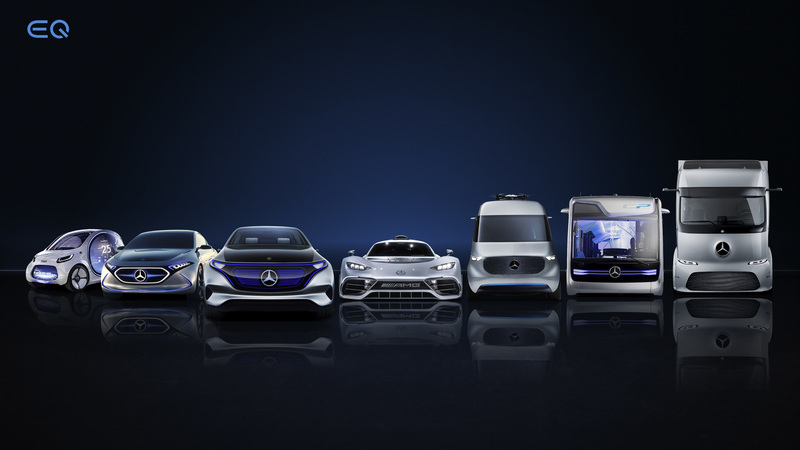 As Daimler’s head of its corporate center of excellence for advanced analytics and big data Guido Vetter told me, the company started getting interested in big data about five years ago. “We invested in technology — the classical way, on-premise — and got a couple of people on it. And we were investigating what we could do with data because data is transforming our whole business as well,” he said. By 2016, the size of the organization had grown to the point where a more formal structure was needed to enable the company to handle its data at a global scale. At the time, the buzz phrase was “data lakes” and the company started building its own in order to build out its analytics capacities. “Sooner or later, we hit the limits as it’s not our core business to run these big environments,” Vetter said. “Flexibility and scalability are what you need for AI and advanced analytics and our whole operations are not set up for that. Our backend operations are set up for keeping a plant running and keeping everything safe and secure.” But in this new world of enterprise IT, companies need to be able to be flexible and experiment — and, if necessary, throw out failed experiments quickly. So about a year and a half ago, Vetter’s team started the eXtollo project to bring all the company’s activities around advanced analytics, big data and artificial intelligence into the Azure Cloud, and just over two weeks ago, the team shut down its last on-premises servers after slowly turning on its solutions in Microsoft’s data centers in Europe, the U.S. and Asia. All in all, the actual transition between the on-premises data centers and the Azure cloud took about nine months. That may not seem fast, but for an enterprise project like this, that’s about as fast as it gets (and for a while, it fed all new data into both its on-premises data lake and Azure). If you work for a startup, then all of this probably doesn’t seem like a big deal, but for a more traditional enterprise like Daimler, even just giving up control over the physical hardware where your data resides was a major culture change and something that took quite a bit of convincing. In the end, the solution came down to encryption. “We needed the means to secure the data in the Microsoft data center with our own means that ensure that only we have access to the raw data and work with the data,” explained Vetter. In the end, the company decided to use the Azure Key Vault to manage and rotate its encryption keys. Indeed, Vetter noted that knowing that the company had full control over its own data was what allowed this project to move forward. Vetter tells me the company obviously looked at Microsoft’s competitors as well, but he noted that his team didn’t find a compelling offer from other vendors in terms of functionality and the security features that it needed. Today, Daimler’s big data unit uses tools like HD Insights and Azure Databricks, which covers more than 90 percents of the company’s current use cases. In the future, Vetter also wants to make it easier for less experienced users to use self-service tools to launch AI and analytics services. While cost is often a factor that counts against the cloud, because renting server capacity isn’t cheap, Vetter argues that this move will actually save the company money and that storage costs, especially, are going to be cheaper in the cloud than in its on-premises data center (and chances are that Daimler, given its size and prestige as a customer, isn’t exactly paying the same rack rate that others are paying for the Azure services). As with so many big data AI projects, predictions are the focus of much of what Daimler is doing. That may mean looking at a car’s data and error code and helping the technician diagnose an issue or doing predictive maintenance on a commercial vehicle. Interestingly, the company isn’t currently bringing to the cloud any of its own IoT data from its plants. That’s all managed in the company’s on-premises data centers because it wants to avoid the risk of having to shut down a plant because its tools lost the connection to a data center, for example.